Apart from getting instagram, one of the other things I was super excited about when I got my new phone was all the cute cases I could put on it! Unfortunately, seeing as how this phone is so new the cases out there right now are pretty boring, soooo I decided to make my own - it's a love/hate kinda thing but I am slightly obsessed with decoden now, it's so tacky but so freakin' cool! I'm really happy with how it turned out, my boyfriend and mum can't stand it but I just think it's the prettiest thing in the whole widest world, for the first couple of days I just kept looking at it and carrying my phone around like an accessory...yeah I'm cool. I love it! And I like what Sophie said about not caring about what your boyfriend and mom think... there are obviously plenty of us girls who admire your handiwork ;). It looks so good, wish I could do the same! And it was lovely to find you on instagram! gorgeous! great blog, absolutely love your taste and the layout is very fresh. would you check out mine? would be an honour! 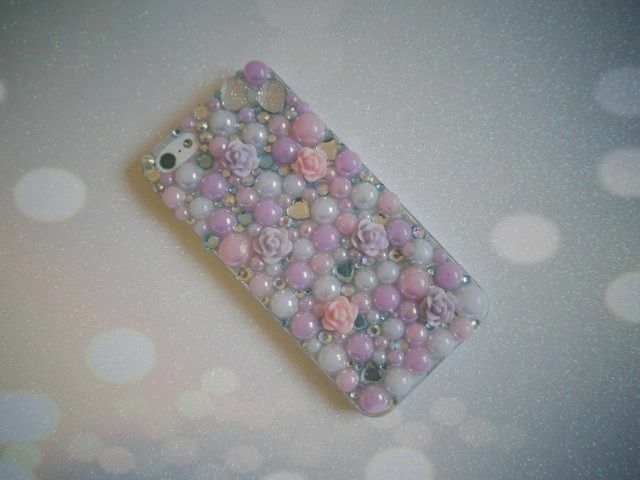 Super super cute case! Love it!